I've been mostly a canoe camper most of my life, but I'll be moving to KY and am interested in getting into backpacking. What are your thoughts on an entry level pack? The external frame style is out of style, but seems like a good idea and they are relatively cheap compared to the internal frame designs. If you are planning on doing mostly trail hiking, an external frame pack is great. They are much better ventilated next to your back than any internal frame pack and they also make a great back rest for when you are in camp. I used an external frame Kelty for trail and mountaineering up to about ten years ago and, especially in hot weather, I miss it. External frame packs seem to be a bit lighter overall than internal frame packs of the same capacity and they generally have a good suspension system. External frame packs are not as popular now as the internals and so your selection is going to be thinner. I have also heard that, as sales have dropped, quality has declined. Personally, I would prospect Ebay for an older established external frame that is already scuffed and sweaty; older packs have personality! As others have noted... external packs can work fine on trails. They aren't as good cross country when you want something with better balance and that is less likely to snag on things. The other think to keep in mind is weight. The typically external frame pack is 5lbs. While there are internal frame packs that weight this much or more, it's easy to find numerous good internal frame packs that are significantly lighter. Saving a few pounds might not seem like a lot when canoeing with short portages, but when you are doing 10-20 miles... and makes a real differences. Depending on your style of canoeing you might be looking at more than a new backpack because you might find your canoeing gear heavier than you will want to carry long distances. <img src="/forums/images/graemlins/smile.gif" alt="" /> Be sure to write up a gear test report too. Be sure to write up a gear test report too. Interesting, but when I was young I was a smokechaser for the Forest Service and used a Trapper Nelson frame. That's as primitive as I care to get! But, thanks for the tip. Right now, established trails are all I plan to do. I think I'll browse Ebay for a used Kelty or Jansport to get me started. While I know that much of my equipment is based upon canoe camping and probably heavier than you trail-heads use (my toothbrush still has a complete handle), It will give me a chance to start assembling ultralight equipment. 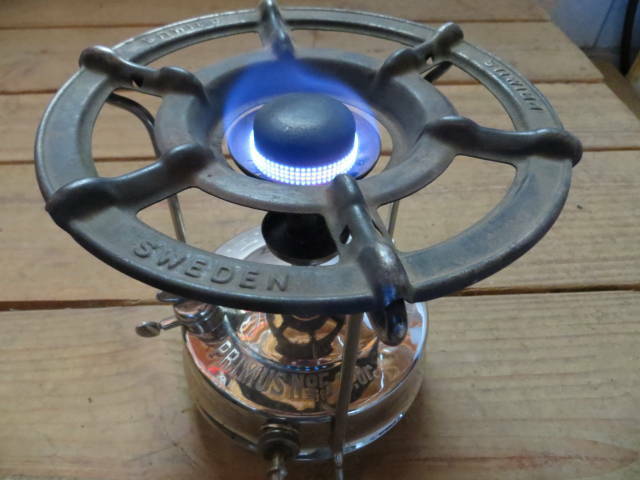 For instance, I got hooked on making Pepsi can alcohol stoves and they are my mainstay now, even on the river. I had to look that up. Trapper Nelson frame. They look pretty neat. OMG... until you mentioned it, I completely forgot about Trapper Nelson frames... I am not sure if I should thanks you because now I will be even more grateful for my current pack, or curse you for reminding me of some very painful trips. As to sawing the toothbrush in half.. never gotten to the point that I worry about saving a fractional of an ounce. Like you, my toothbrush is unmodified. That said, I can't tell you how much of a difference it made for my weight for a week long trip to drop from 70-90lbs down to 30lbs. When I was young and foolish I would brag about the heavy packs I carried. Of course, I would be wiped out after 10 miles. Later in life I found that my joints really hurt carrying even 40lbs and decided something had to change if I was going to continue to backpack. Several years ago I attempted to capture how my gear had changed in an old-vs-new spreadsheet . These days, weekend trips are more like 12lbs, and week long trips are 25lbs... and I can put in 15-20 miles without any joint pain. Life is good. The modern version of the primate-ways pack is the moonbow gearskin, dana racer-x, or the bpl arctic backpack. I wonder in terms of lifestyle and technology rather than linear time, what year might be considered half-way between �tzi the Iceman of the Alps of 3300 BC, and the ultralight backpackers of today. To be frank I think they are both very similar. �tzi gear was pretty light, and highly functional, by todays mainstream standards. I am not sure primitive it the right way to characterize some of the monster gear of the 20th century and still out there today. I'll bet you wouldn't catch �tzi forking out $200 on a 6 pound backpack. Maybe that's why they killed him, or maybe he was dodging shelter fees. I prefer an external frame for a couple of reasons, one is the ventilation it provides, two there is always a broken limb to hang it on at camp, and if not then it leans against a tree so much better, and finally that is what I have and don't want to spend more money on a new pack .